Sometimes we come to things the long-way around. A change in perspective reveals a new understanding that was there all along, waiting to be discovered. I feel like this year is going to be a journey like that. It feels pivotal...transformative. Or perhaps it's still just all shiny and new, and I'll end up in December the same old me, but with a blog post or two that represents a glimmer of a thing that dulled over time. Who can say? I chose a word at the end of last year to guide me through 2019. A lot of people do. It's not new - and it's kind of a poor man's version of a New Year's Resolution in some ways, because it's so open to interpretation. 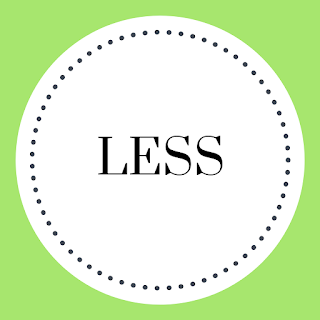 What does she mean by less? That can be so many things! Surely she can claim success by merely sliding into 2020 with less of (insert easily divested thing here). True, true...all true. Which is why it's February 8 and I'm just now talking about it. 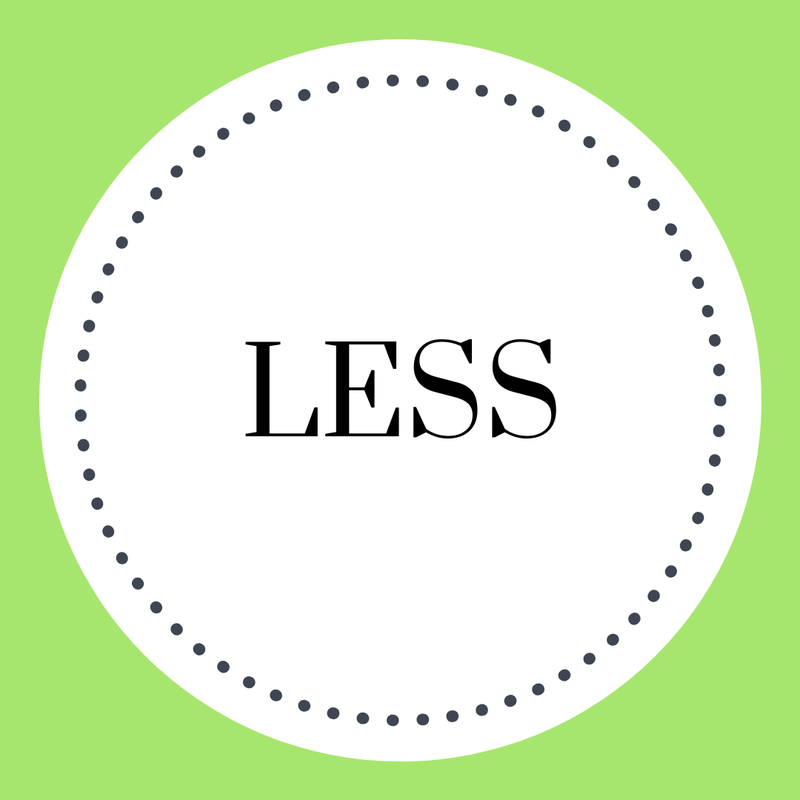 Because I've been trying to figure out just what I mean by less. I got here as a result of Christmas. As a maker and a small business owner, the holidays are usually crazy, hectic and over before I can enjoy them. It pays the bills, but it leaves me dreading the season, and missing the real purpose of the thing in the first place. But last Christmas was different. There were many crickets and cobwebs in the Etsy shop. Lots of things not happening. And at first I panicked. And then something beautiful happened and it changed all the things. I decorated my house, and shopped for presents, and hung garland on our fence posts, and wrapped presents, and wrote out a few cards, and baked. And it all happened over the course of days and weeks, not wee hours and in a frenzy. I took walks every day. And I spent time with my husband and kids. The change was palpable...and noticed by everyone who lived with me. Suddenly we wondered: how can we make this last? What would need to shift to bring this mom/wife/me back more permanently for all of us to enjoy? And the answer was obvious: I needed less. Pursuing less as a one-woman business person, with 2 kids, a dog, a mortgage and a husband who also has his own business is laughable. How could I possibly pursue less in this situation? Didn't I need more? To ensure the continuation of all the things? The saxophone lessons, and the ninja warrior competitions, and the home improvements and the vet visits and the health insurance and...you know! You have a life...you get this. Oh, and did I mention that we're on a debt-free, cash-mostly journey and I sell cash budgeting systems and wallets as my livelihood? Just in case you thought I was heading down some sort of "finance your life" rabbit hole. I sat with this list for a bit and thought: How would I FEEL if I had less of all these things? The answer was loud. I would feel peaceful. I would feel free. I would feel calm and organized and in charge of making the decisions instead of the things making the decisions for me. And then I realized the thing that shifted me into motion: I would feel like I have the time/space/energy to do MORE of the things that mattered. It was a Lightning McQueen "turn right to go left" moment. Waiting for me in my queue of podcasts was a little show called "The Slow Home Podcast". I honestly don't know how it got there. I'm assuming that someone wise recommended it to me a while back. I hadn't ever listened to one episode. I clicked on it. And discovered Slow Living. It spoke to all the things that I had been feeling and thinking and wondering. The podcast led me to the host's book, "Slow: simple living for a frantic world" by Brooke McAlary and off to the library I went. 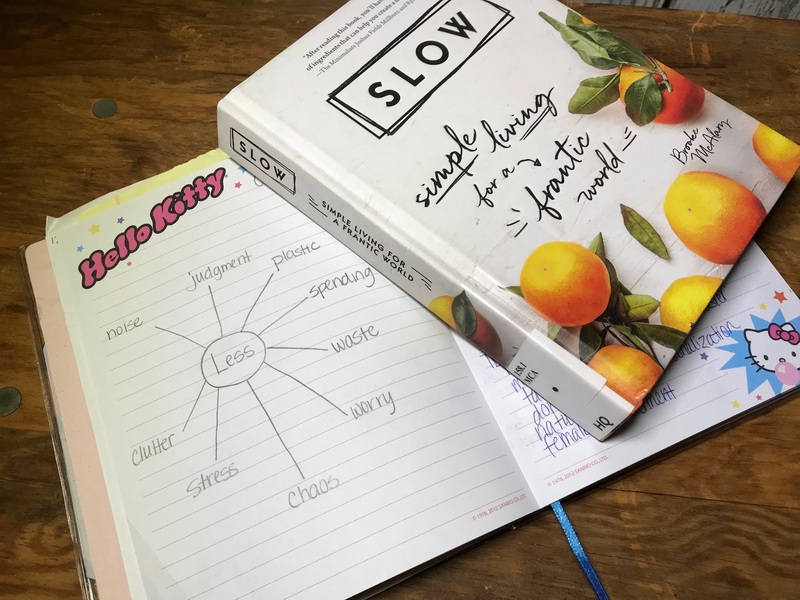 And here I am, on page 90, slowly learning to sort all the things out, one bite at a time. At a slow pace...which is the point. If you guys have read this far, thank you. I know I haven't written in a while and that this post has nothing to do with why you might be here. But it has everything to do with where I am right now, and the direction I'm heading. This all might be completely obvious to you already (if so, please let me know! I can absolutely use the encouragement xo) and if this resonants with you and you're feeling like I am, also give a shout out. I'd love to encourage each other on this journey. I love this. I have a friend who recommended that podcast to me and she also is reading the book. I need to check it out. Thanks for reading, Leanne! You should definitely check it out. It's all so obvious and brand new at the same time. I'm very excited! I love the McQueen reference! One of our favorites and a constant quote in our family!